The Illinois Education Research Council (IERC) has named Sosanya Jones, PhD, and an assistant professor in the Department of Educational Administration and Higher Education at Southern Illinois University Carbondale, as its 2016-17 faculty research fellow. 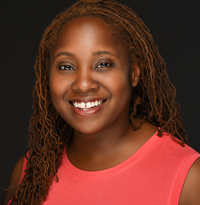 Jones will be provided funding for her study on Incentivizing Diversity: Perceptions of the Implementation and Impact of Illinois’ Performance Funding Diversity Indicator. “Dr. Jones’ project is a perfect fit for the interests of the IERC, and we are excited to support her research on performance funding in Illinois,” said Janet Holt, IERC executive director. A former research consultant for The Ford Foundation and The Community College Research Center, Jones currently serves as an expert adviser for the Southern Education Foundation on issues related to equity and performance funding. The Illinois Education Research Council is an independent research organization that conducts education policy research on issues of import to the state of Illinois. Since 2009, it has been the legislated research arm of the Illinois P-20 Council. Our policy research follows important educational trends in Illinois and is disseminated through our research reports, presentations to the Illinois P-20 Council and its subcommittees, and through conference presentations.